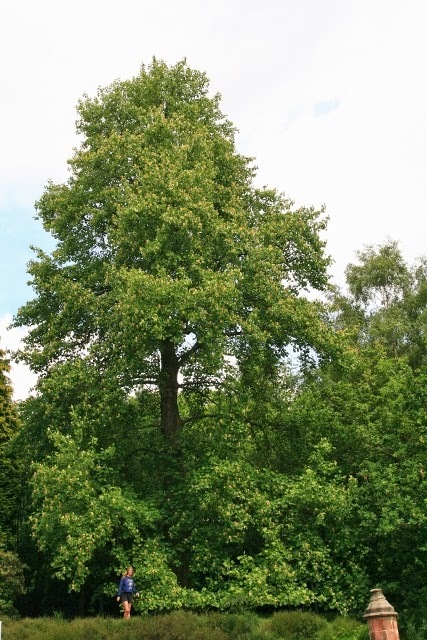 A large tree of up to 30 metres in height. 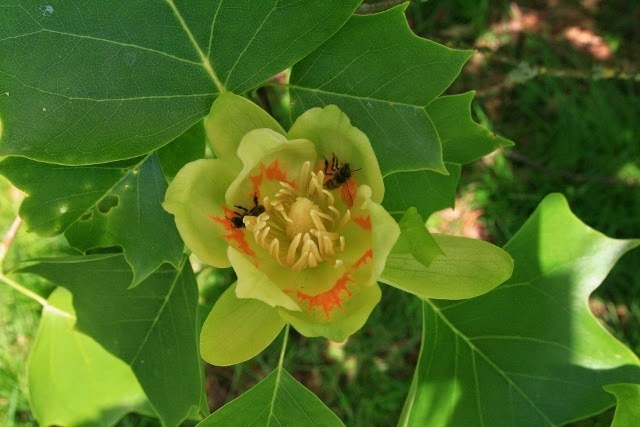 The tulip tree has very distinct foliage, which turns golden-yellow in autumn. It flowers in June and the flowers are not unlike tulips hence its name. It is an early introduction to this country from North America, the first record of at Tulip Tree is from 1688 and it may well have been introduced earlier. The magnificent Tulip Tree at High Beeches grows on the bank between the road and the car park and was probably planted in the early 1900s.